A compelling purpose-driven brand story speaks to the hearts and minds of your customers and will connect with them on a deeper more emotional level. It helps people understand why your brand exists beyond making a profit and who’ll benefit from its existence. A brand story represents who you are and what you stand for. It sets the stage for every interaction customers will have with your brand and serves as a rallying call to your employees. Every brand has a story to tell. It’s how you layer and tell that story that differentiates you from the myriad of me-too brands. 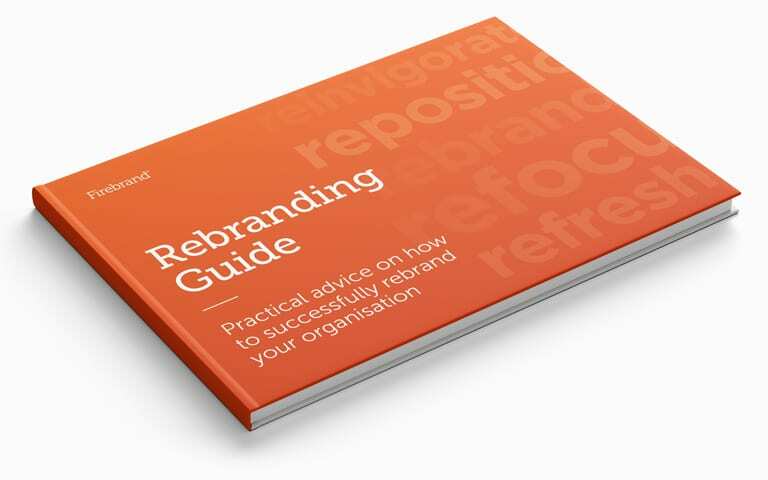 There is a tendency for organisations to make features and benefits the focus of their brand story, you should instead craft a captivating and relatable narrative born from your purpose, vision and values. It’s this authentic purpose-driven story that will attract the right audience and inspire them to act in your favour. Think of it as transmitting a signal rather than creating noise. 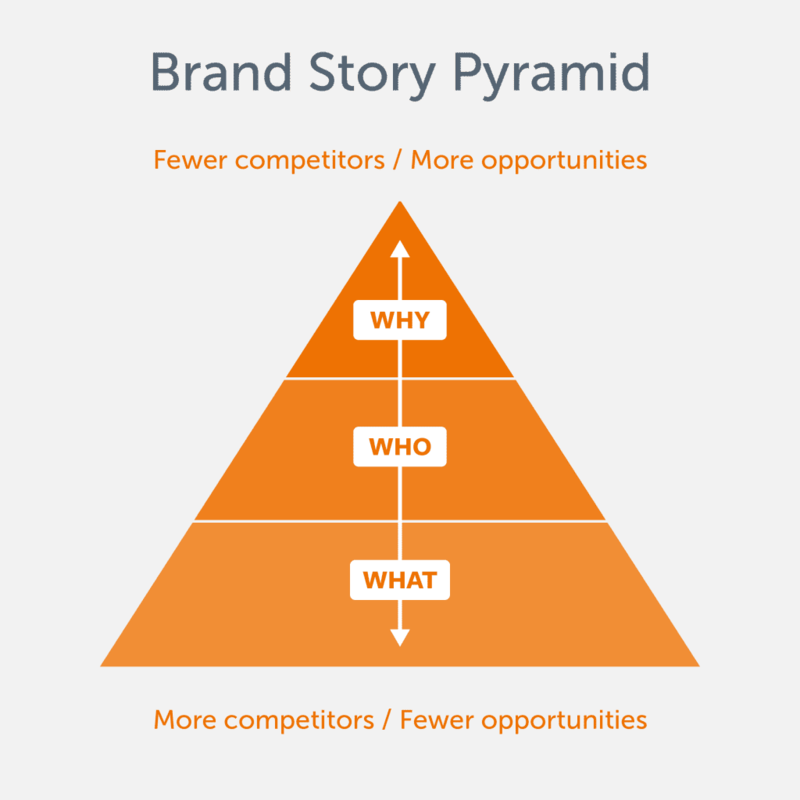 The higher you climb up the brand story pyramid the deeper the connection between the story and those you share it with. Fewer competitors occupy the top of the pyramid which gives you more opportunities to be heard and connect with the right people. At the bottom of the pyramid, businesses tell people what they make or do. The narrative generally focusses on features. It’s an overcrowded layer which is commodity and price driven, it’s difficult to be heard amongst all the noise. The next layer in the brand story pyramid involves a more empathic approach which communicates how these features will benefit users. It demonstrates you care about the wants and needs of your customers, but this layer still limits the ability for you to clearly differentiate your business and stand out in the marketplace. At the top of the pyramid, organisations not only share what they do and who they do it for but more importantly — why they do it. It’s this purpose-driven perspective where the narrative is more meaningful and resonates with your audience on a much deeper level. It will set you apart from your competitors and attract a devoted following of brand advocates that share your ideology. Be careful not to fall into the trap of creating a brand purpose which is just a veneer or fluff. Your employees and customers will see through anything that isn’t genuine. If you want your brand purpose to work you must accept that it will need to be both genuine and relevant. Define a authetic purpose and put it at the heart of everything you say and do. A purpose-driven story is attention-grabbing, persuasive, memorable and inspiring. It will clearly differentiate you in the marketplace and promote your organisation to the top of the brand story pyramid. An authentic purpose-driven brand story will increase your brand awareness, create customer loyalty and drive sales. Let us help uncover and articulate your brand purpose with our brand workshops.